Eclipse is very powerful integrated development environment for developing Java Applications. It is a free and open source JAVA IDE and also available for Ubuntu 18.04. In this tutorial we will learn how to install Eclipse in Ubuntu 18.04 Bionic Beaver. The latest version of the IDE is 4.8 which is also called Eclipse Photon. First, we will install the Java runtime environment because Eclipse itself is a software written in Java language, therefore require JRE to run. Then we can install Eclipse using the snap package manager. The snap package manager will download and install Eclipse Photon on your Ubuntu 18.04 desktop. After the process is complete, you can go to Ubuntu application menu and open Eclipse IDE for the first time. 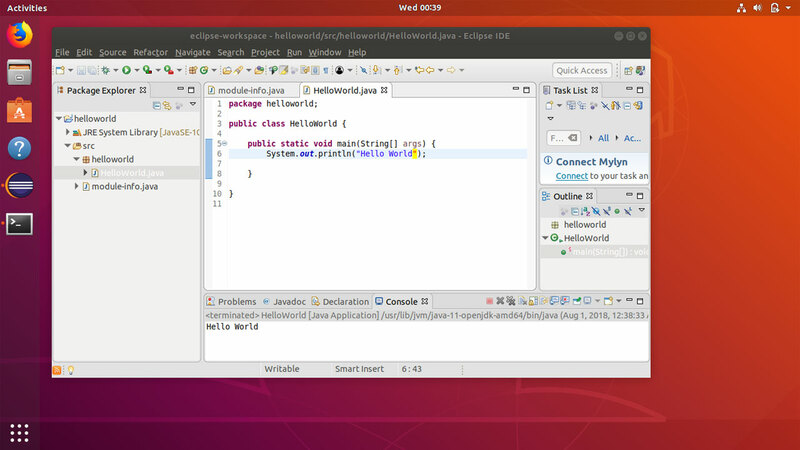 Eclipse is an integrated development environment which you can use on your Ubuntu desktop to create mobile, desktop and web applications using Java programming language.